 This dataset encompasses all of the Part 1 crimes in Austin, Texas from January 1 2015 - December 31 2015. In order to protect the privacy of crime victims, addresses are generalized to the block level only and specific locations are not identified. Due to several factors (offense reclassification, reported versus occurred dates, etc.) comparisons should not be made between numbers generated with this database to any other official police reports. Data provided represents only calls for police service where a report was written. This Racial Profiling dataset (citations) provides the raw data needed to identify trends in traffic stops. It is used to help identify potential improvements in department policy, tactics, and training.